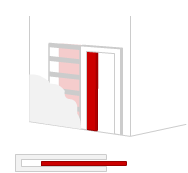 Supplying Eclisse sliding pocket door kits PocketDoors.co.uk are the experts in how to choose, measure, deliver and install your pocket door system. 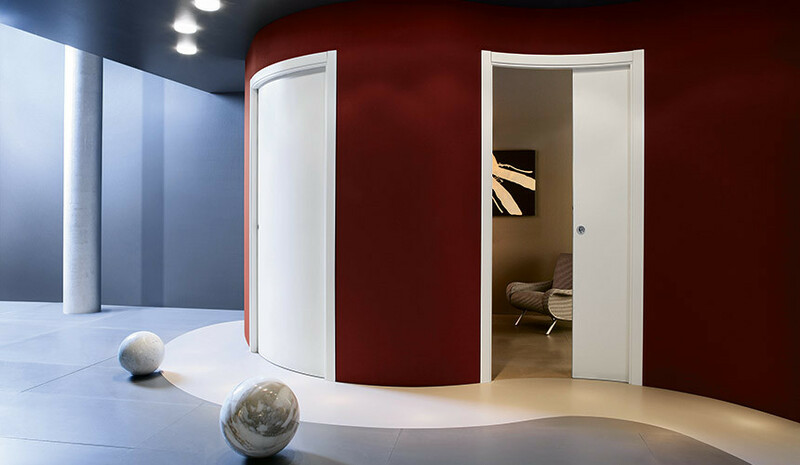 Our secure online store has a vast range of options for the home or office and for any size of available space, so let the pocket door transform your everyday lives. 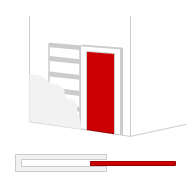 Ever seen a door disappear? 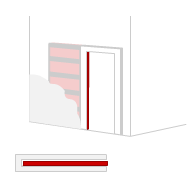 A pocket door is a system of building a counter frame which is then integrated with a stud wall construction. The frame creates an envelope the same width as the finished wall for the door to slide into, thus hiding the door within the wall cavity. Essentially, when you open the door it sits neatly in the wall space you have created, and then you can slide it back again. 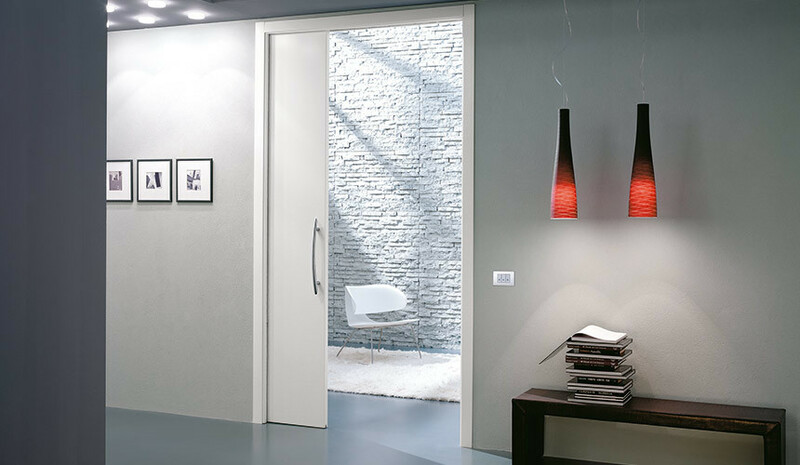 The Eclisse pocket door kit includes the frame and the door and provides a neat, practical and contemporary solution to save space and enhance your home. 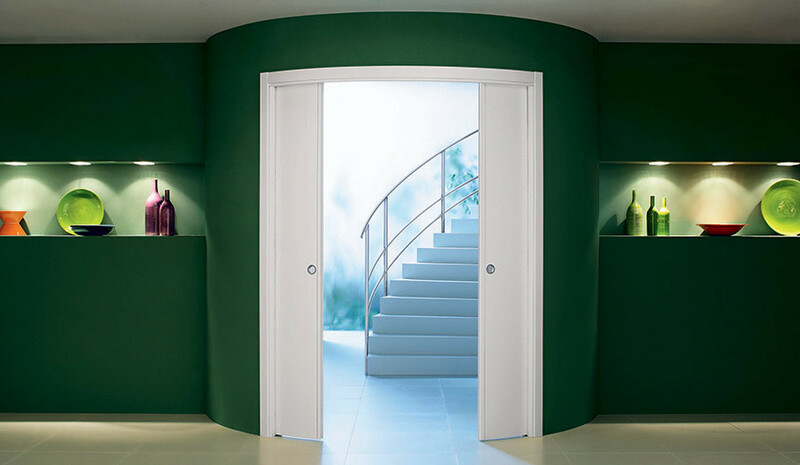 Why choose a pocket door? 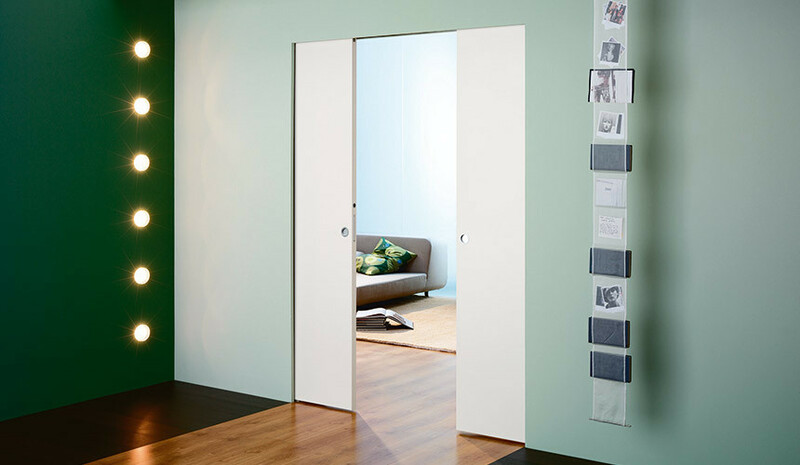 Space-saving: compared to a traditional hinged door, the pocket door creates around 8% extra space in a room, meaning you can utilise all the space at your disposal and create extra rooms where you previously couldn’t; such as a home office, utility room, en-suite bathroom or a simple storage room. Contemporary: Our designs feature frameless systems that create a sleek and minimalist look, and also feature colours that can complement your interior design perfectly. 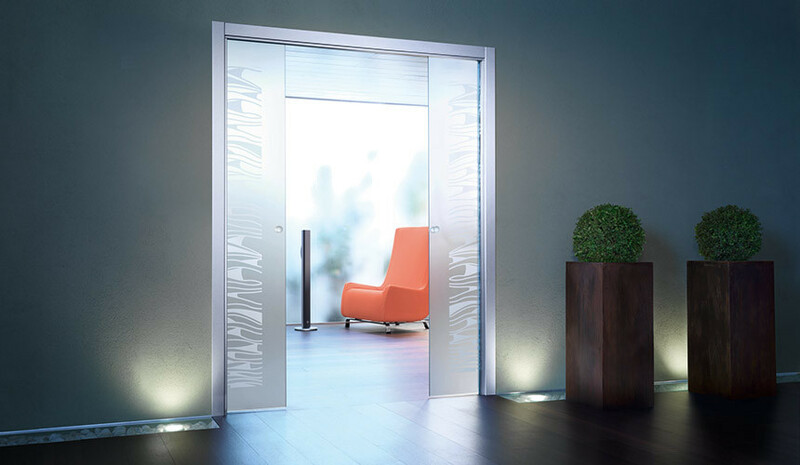 We also stock glass pocket doors that can be customised to suit your internal décor. Pocket doors are the multi-functional, neat and tidy solution you won’t believe you used to live without. Easy-to-install: Our kits come with full instructions and we also have an instructional video to help you with the installation process. 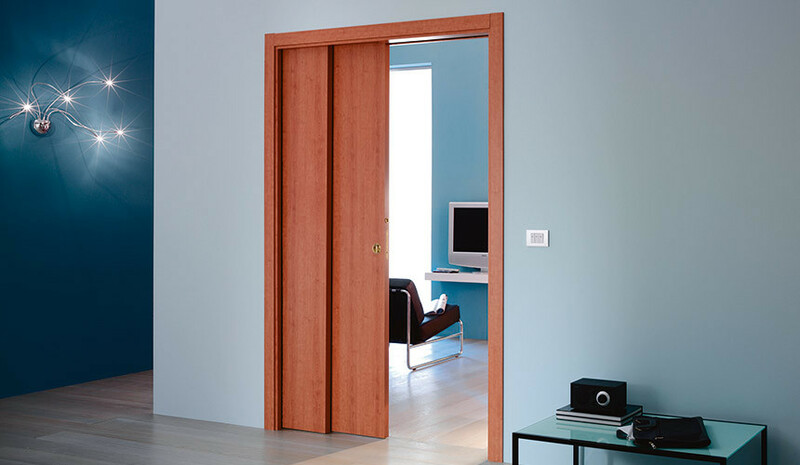 Accessories: Pocket doors can be retro-fitted in some homes, but on all our systems you can add accessories such as anti-slam and self-closing mechanisms after the doors have been fitted. You can contact us by phone (0113 202 8349) or by email (info@pocketdoors.co.uk) and our expert staff can advise you on size, style, cost, delivery and installation. So from single or double pocket doors to frameless systems or glass doors, and from made-to-measure kits to telescopic pocket doors, we have all the information right here for you, so get in touch today. Why reduce your layout options? 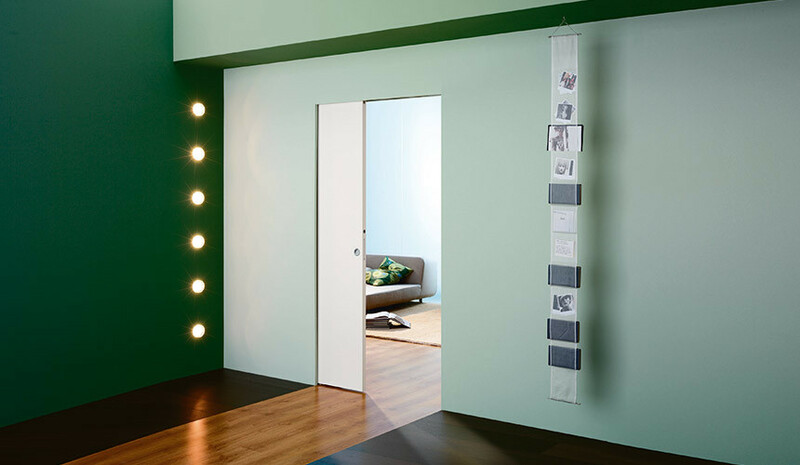 Eclisse sliding pocket doors give you the freedom to use all the space in your home. Why lose valuable living space? 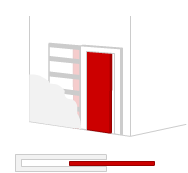 Eclisse sliding pocket doors free up more than 8% ‘dead’ space in an average home.